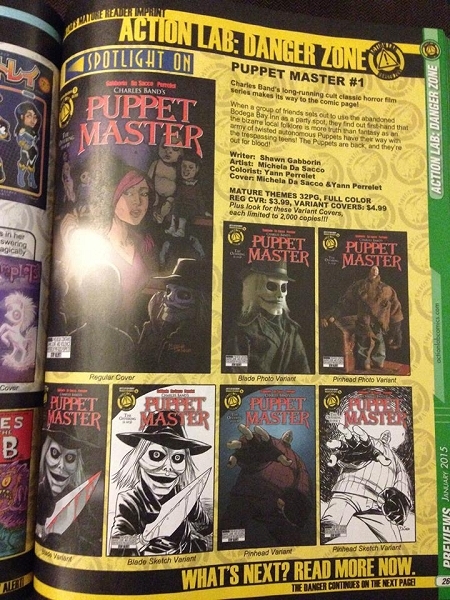 Issue #1 Puppet Master Comics, coming to you from from Full Moon and Action Lab: Danger Zone! 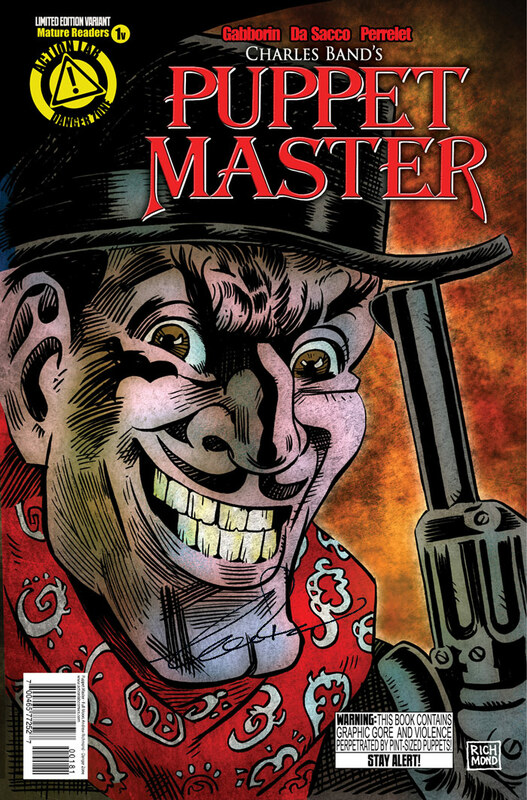 Strictly limited to 250, this variant cover created by Vasilis Zikos is a FullMoonDirect EXCLUSIVE and not available anywhere else. The price is $20 for the signed comic, plus $3 flat rate shipping. 50 of them have been signed by Charles Band. You can purchase the UNSIGNED version of this variant HERE. 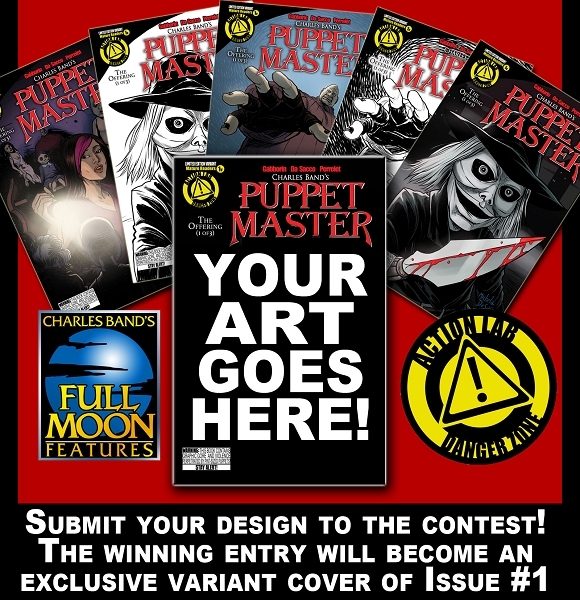 Collect all the variant covers for issue #1... including these winners of our contest! Fans were encouraged to send in their art entries. There were SO many amazing entries that we couldn't pick just one, so we picked FIVE. Congrats to the winners and check out all the entries HERE.